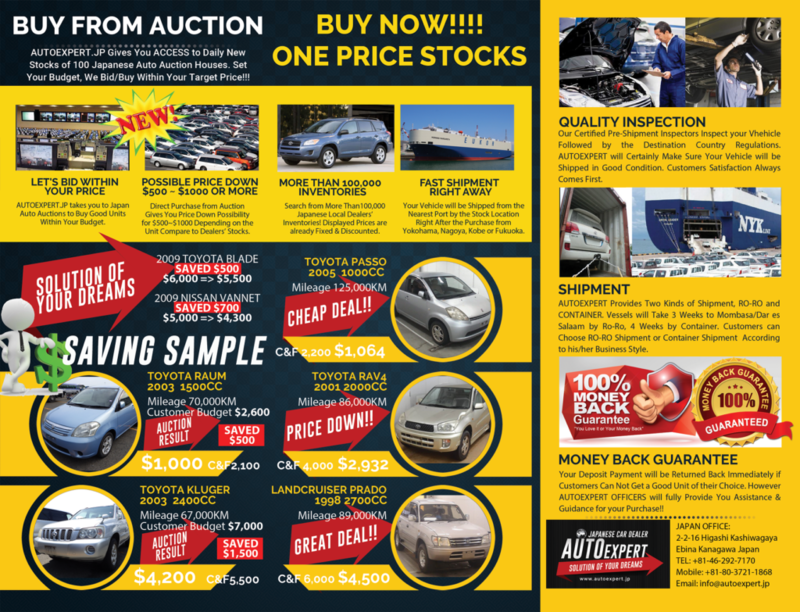 The Upgraded Website for Used Car Export and Sale. 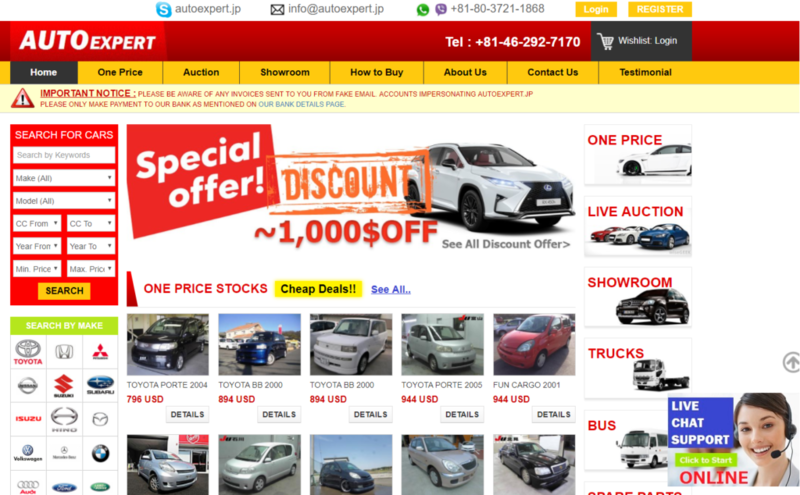 It gives you access to the stock information of more than 100,000 of vehicle inventories in Japan. Our well experience Sales Officers will guide and support you to find the best unit for you. Exporting to 127 countries all over the world. 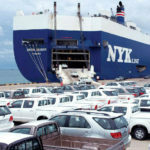 We have shipped to many of African and Caribbean countries, Europe, American, Asian, Oceania and Pacific islands by Ro-Ro and container shipment. 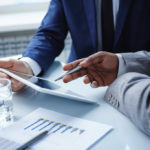 Business Consulting to Japanese Companies expanding their business to East Africa, especially TANZANIA to help the market research and advise. As Professional Expert K.I Co.,Ltd. has been exporting all kinds of small vehicles, Buses, Trucks and Machinery to all over the world. It is our pride to providing excellent customer service to our clients and make them happy with the best units we export. Customer Satisfaction is our 1st priority more than anything else. It’s our great pleasure to get many smiles & “Thank you” from our customers. 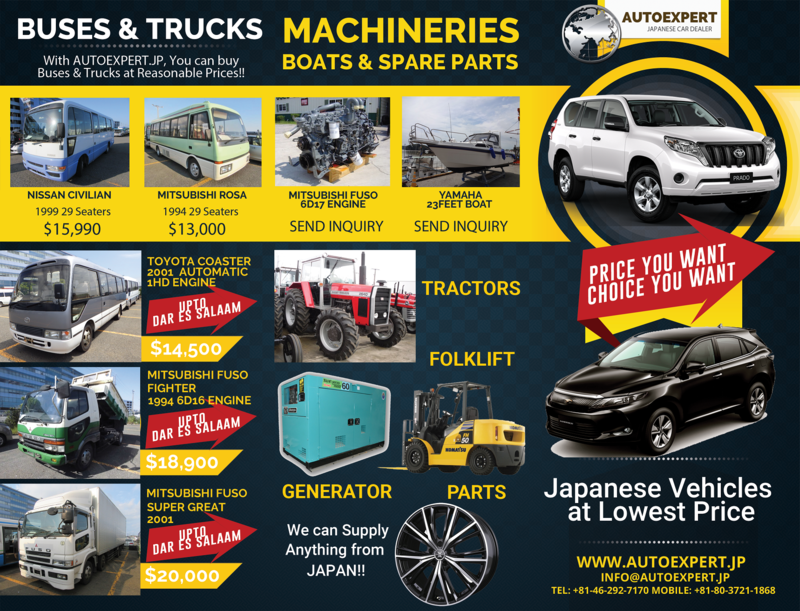 We ensure not only the quality of our vehicles from JAPAN, but also the time of delivery and the best & reasonable price for you. Global Networking Partner’s Success is Our Success. K.I CO.,Ltd. is focusing on building up local car dealers’ capacity by providing full access to all stock information of used vehicles in Japan. A variety of training has been provided for local dealers to enhance their business.